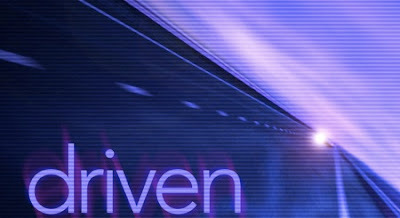 At the bottom of the Garden: Drive - What is it? Do you have it? Can you get it if you don't? Drive - What is it? Do you have it? Can you get it if you don't? I spoke to someone recently who is very driven. I really envy people with drive. Some people think I'm driven. Sometimes I think I am, too, but then I kind of know I'm not. Or maybe it's just that I have a relaxed kind of drive. In writing I've heard that success is 10% talent or inspiration (it changes depending on who you're talking to), 85% handwork/perspiration and 5% good luck/who you know... I tend to believe this is true. You can be very talented or inspired but without determination and hard work, you're liable to stall before you ever manage to get published. Like me, you might get lucky, or know people, and get a break and get something published without too much hard work, but still, that will only take you so far, even if you are talented. Talent and inspiration still need hard work - so the writer doesn't stagnate. Hard work is pretty much unavoidable. You have to write, you have write a lot. You have to work at honing your skills. Words where others can access them (even if you don't show them all to someone), they count. Writing in your head... That doesn't count. This is where drive comes in and is very useful. People with drive don't just rely on the compulsion to write. They write even when they don't feel like it - because they have drive. They may feel the compulsion to start writing, but it is drive that keeps them at their desk once the compulsion - the need for the writing fix - has subsided. And believe, it subsides. I suspect that rather than drive, I have compulsion. So, is drive a personality trait? Is it something a person is born with? Certainly, the people I've seen with drive seem to have always had it, no matter what they turn their hand to. Last night I watched 'The Social Network'. A lot of the people in this 'based on a real events' movie had drive. Most of the characters were completely unlikeable, but their drive was admirable. I long for that kind of focus. The single-minded pursuit of a goal. Sometimes drive seems to be the reaction to hurt - a lot of people with drive seem to have something to prove - usually to other people but often just to themselves. People with drive seem to want acknowledgement, whatever field they are engaged in. However, I think it would be unfair to suggest that drive is somehow a fault of ego. I don't want to believe that. So, how do you get drive? Can you acquire it, or do you have to be born with it? Or perhaps (if I am wrong), do you have to have a burning desire for acknowledgement, the deep seeded need to prove yourself to yourself or someone else as a result of hurt?